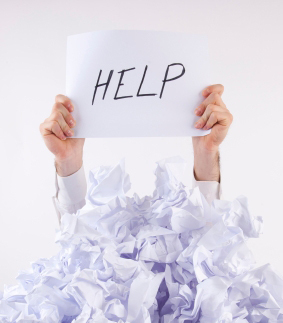 Are you a stressed out small business owner with too much to do? Do you find yourself overwhelmed with projects that you need assistance with? WE can help! AKS Virtual Solutions provides virtual assistant services, quality, value, and excellent results to busy entrepreneurs, small businesses, and executives. Partnering with us means your productivity increases, because while we work on your specific needs, your time is free to achieve your primary goals. We understand that your small business has a very unique set of challenges and demands. That is why we specialize in working with you to help your business unleash its potential. We are here to help your business run efficiently by helping you achieve your goals in a timely and professional manner. We offer affordable and dependable business solutions only when you need it. We are dedicated to providing you with quality work, quick turnaround, and confidential services. We can help make your business successful by offering a wide variety of services that will help your small business grow and succeed! At AKS Virtual Solutions, we will work with you to help you achieve your dream of success! We provide you with high quality, professional results, and we are accessible beyond "normal" office hours. We are available for long or short term assignments or on an "as needed project basis." We offer quick turnaround of material and can handle "rush" assignments. Contact us with the details of your project, and we will provide you with a FREE, no-obligation, fast and friendly quote. There are several ways to communicate your needs to us. There's email, fax, postal mail, and phone. We are dedicated to providing you with quality, fast and confidential services because we take great pride in the quality of our work. We have the ability to work within your budget. ©Copyright 2015. AKS Virtual Solutions. All rights reserved.